Focused Vigor - Zen Enso is a painting by Ellen Miffitt which was uploaded on January 20th, 2013. Enso, a Sumi-e in color, features the Kanji character for Vigor. 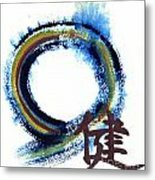 One of the most frequently occurring designs in Zen brush paintings is that of the simple open circle or Enso. 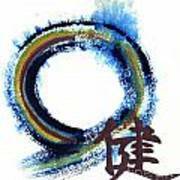 Enso represents the void, the infinite, the Tao, simple existence, impermanence, emptiness, the loss of self, and enlightenment. It represents samsara, the circle of life and death. It represents the true nature of reality. This simple brushed circle, seen again and again in the meditative art of Zen practitioners really is the essence of Zen itself. Simplicity is everywhere - in the black and white ink; the single spontaneous yet mindful stroke of the brush; the circle, most simple of shapes; and in the mind of the artist, at peace or in the search for it, finding enlightenment and ultimate reality in the void. 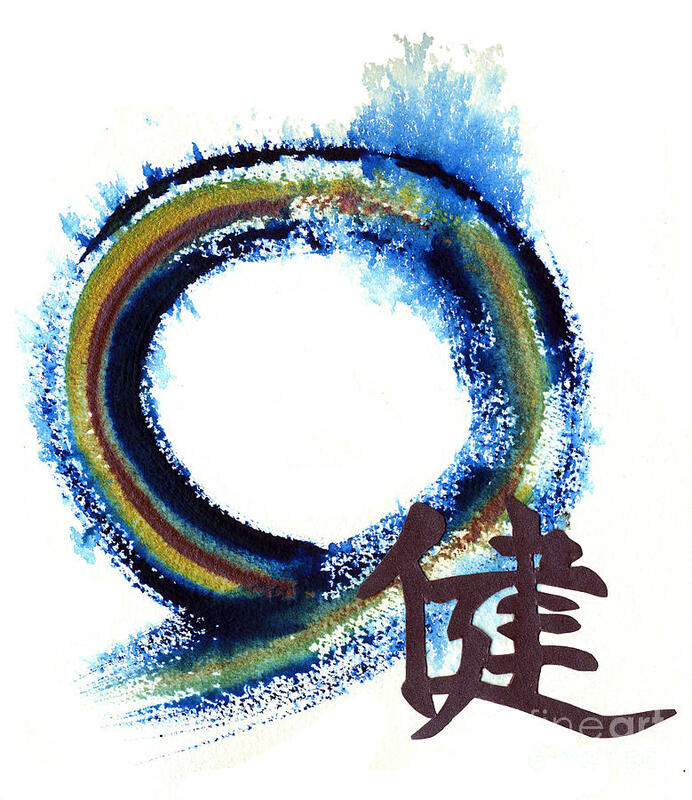 There are no comments for Focused Vigor - Zen Enso. Click here to post the first comment.